Walking into the interview area I’m confronted by series director Shimbori dressed as Bayman with a scar so convincing I could have sworn that it just happened to be a coincidence. After showing me through the menus and running through some combo challenges, I got to ask him some of our questions, and some from the Rice Digital community. DEAD OR ALIVE: Dimensions was one of our personal favourites in the series, we loved being able to take the full DOA experience on the go with us. Is there any plans to bring DOA6 or the series as a whole to Nintendo Switch? Yohei Shimbori: [laughs] There’s sadly no plans at present to bring the series to Switch. 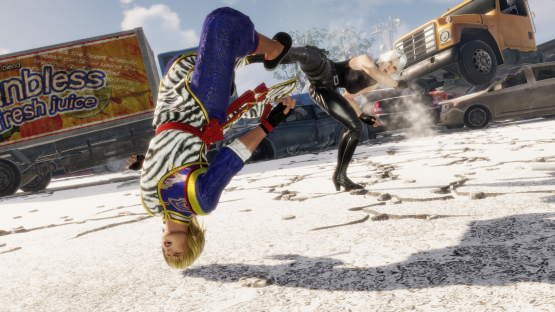 As DEAD OR ALIVE 6 is made in an entirely new engine for modern consoles, running it is very hardware intensive, and as such cannot be ported to Switch. I play games on the Switch a lot myself though, and would love to bring the series itself to the console at some point. With the recent problems with Sony regarding censorship of games on their format, has there been any concessions or alterations that have needed to be made to DOA6 for Playstation 4? YS: We made a lot of efforts from the beginning to create content that is enjoyable but is also publishable on all platforms. Therefore, there will be no differences between the platforms. We weren’t censored by any particular platform to ensure a release. A lot of fighting games have made a move to making themselves more accessible to a wider audience in the last few years. Is DOA6 doing anything to appeal to a more casual market? YS: Multiple modes have been added to ease newer players into the game mechanics; with Command Training, a robust Story, Quest Mode, and a Combo Challenge Mode with challenges from beginners up to expert. Also, the addition of the Break System adds other layers of complexity for expert players while allowing the more casual players to perform easy and visually impressive moves easily using the new Fatal Rush combos. 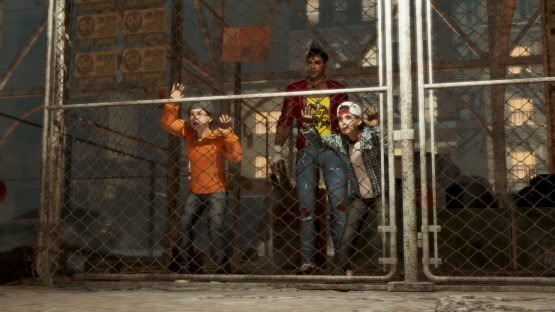 The new characters Diego and NiCO both are strikingly different from both each other and from a lot of the roster usually found in DOA. Can you tell us any more about these two fighters? YS: These characters actually have very different inspirations that have led to their designs and fighting styles being the way they are. Diego was created to be relatable to Western male players between the ages of 25 and 35, and was given his street fighting style to appeal to this crowd. NiCO, conversely, was created with anime as the key inspiration. This led to her being one of the least motion captured characters, with most of her movements and animations being created by designers instead of working from motion capture. Are there any plans for the return of the much loved Tag Mode in DOA6, either in a future update or as DLC? YS: Sadly, this can’t be brought back in DEAD OR ALIVE 6 due to system limitations. This (referring to the DOA6 build) is running on a Playstation 4 Pro and is using so much memory on the system that it just wouldn’t be feasible to add a tag ability to it. I actually love tag mode myself, and really wanted to add it in, but couldn’t make it work. Would you like to know something though? There wasn’t supposed to be tag modes of any kind in Dimensions or 5: Last Round, but I found a way to work them in as I wanted the mechanic to be there. 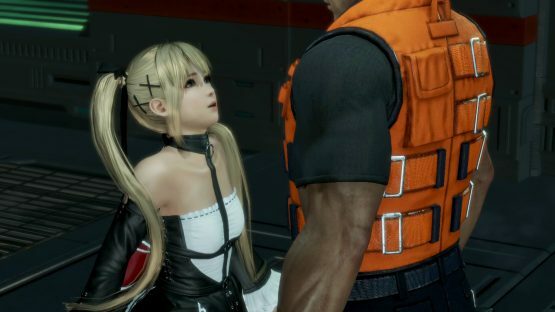 Finally, as a creator of fighting games yourself for many years with several titles of DOA under your belt already, where do you see the future of the genre heading? YS: I think that fighting games will need to evolve into something new in the future to survive, becoming something different while still holding onto some of the traits of the genre. Otherwise, fighting games will continue to be something that is “just for the pros” and won’t grow its audience. Thank you so much for your time with us. YS: Thank you for coming. So, that was our time with the Director of DEAD OR ALIVE 6, we only had half an hour but got a lot of interesting bits of information. Has this changed or improved your initial thoughts on the game? Are you going to pick the title up? Let us know in the comments, or on Facebook and Twitter, and check back for more coverage of DEAD OR ALIVE 6 and other Japanese titles. DEAD OR ALIVE 6 is due for release on March 1st 2019 for PlayStation 4, Xbox One and digitally on Windows PC via Steam. If you’re interested in this upcoming fighting game, why not get it through us?